If you’re doing all your own accounting, the Finances section of Town Square has tips and advice to help you get through it. But if things are complicated (or if you’re just strapped for time), it may make sense to bring on a professional. But how do you find someone legit? We reached out to our friends at Xero, one of our Square App Marketplace partners, to get their top tips for hiring an accountant. If you’re doing all your own accounting, the Finances section of Town Square has tips and advice to help you get through it. But if things are complicated (or if you’re just strapped for time), it may make sense to bring on a professional. But how do you find someone legit? We reached out to our friends at Xero, one of our Square App Marketplace partners, to get their top tips for finding an accountant. Similar to having a good doctor, working with the right accountant is invaluable. That’s because the right accountant can monitor your business’s financial health and provide sage advice that helps the company grow and succeed. Many accountants might seem similar on the surface. So knowing what to consider and the right questions to ask can make your search a lot easier. Here are five tips that can help you find your ideal accountant. Less than a decade ago, you absolutely needed to work with a local accountant. These days, your options are wide open thanks to the cloud. You can hire an accountant in a different state or even another country and use cloud accounting software to work together on the same financial data. All while staying in touch through phone, email, and video conferencing. If staying in touch online is fine, then you can hire an accountant from anywhere, provided he or she is knowledgeable about the tax laws and business regulations that apply to you. But despite the ease of online communication, many people still prefer face-to-face communication. If you’d rather work with an accountant who’s available for in-person meetings, then you’ll need to keep your search local. Every industry has its own quirks when it comes to financial record-keeping, which is why more and more accounting professionals see the value in specializing. Limiting your search to candidates that serve your industry can help you find someone who is already familiar with the ins and outs of your business. Also, look at the company size and revenues of the clients your potential accountant already serves. Veer toward someone who serves slightly bigger businesses than yours. It will ensure he or she can continue to handle your needs as the business grows. Someone you know is likely working with a great accountant, so be sure to ask around. Ask your friends and family, your social media followers, and of course the business next door. You can also get advice from your chamber of commerce and local business organizations. Just keep in mind that what works for one small business might not be the best fit for yours. Above all, you need an accountant who is familiar with your business type. Insist on savings and efficiencies. 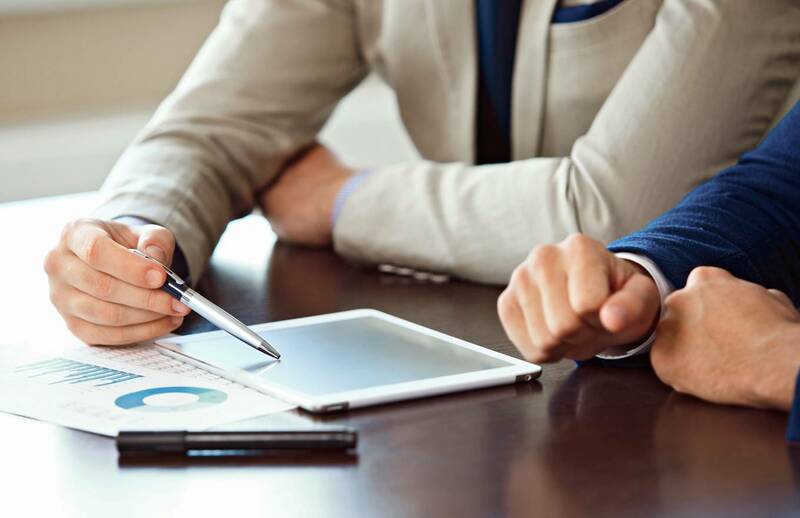 A good accountant completes your tax return and keeps your books current — but a great accountant advises you on how to run your business efficiently. A great accountant sees your cash flow from end to end and can identify the areas where you’re overspending. A great accountant is also savvy at navigating tax codes and understands tax law and its real-world implications. He or she is able to save you as much money as possible while complying with the law. A great accountant is proactive, which also helps your business succeed. For example, any accountant will (or should) alert you of potential issues. But the great accountant will also let you know when things are going well and when you should consider taking the next step. For instance, your accountant can recommend when it’s smart to hire an employee, purchase new equipment, or even open another location. Many small-business owners are wary of making the wrong move. However, you can feel more comfortable with your decisions when you have access to an expert who can provide validation based on your financial data. Finding the right accountant can pay off in the long term as you gain a trusted advisor that you can turn to for financial guidance. Your business will thank you. Read Xero’s full guide on the topic to get more tips. Xero is beautiful online accounting software for small businesses. Sign in any time, anywhere, from any device. You can link up your Square account to Xero in Square App Marketplace.